One of the best uses of AI is harnessing its power to tackle problems that require looking at large amounts of data. To that end, DeepMind may have just cracked a way to help develop cures for diseases by simulating protein structures. Each cell in our body is made of millions of protein molecules, with some of these offering structural support and some catalyzing biological reactions as enzymes. Often, malfunctioning proteins have been found to cause diseases, and historically, targeting their structures with drugs – to either activate or deactivate them – has yielded cures. However, understanding the structures of proteins has not been easy, perhaps until now. A number of forces act in complex ways between atoms in a protein, and it is difficult to compute all the possible ways in which these forces fold the protein’s parts into a 3D structure and hold it in balance. In a major advancement, DeepMind’s AlphaFold AI has yielded a hyper fast method to find the 3D structure of proteins from the sequence of amino-acid molecules they’re comprised of. The AI company owned by Alphabet – best known for its AlphaGo program that defeated the world’s best professional players at the strategy game Go – entered an international protein-folding competition run by the Protein Structure Prediction Center and comprehensively won. For years, the ‘protein folding problem‘ has haunted biologists when conceiving the 3D structure of proteins from the sequence of amino-acids that make them up. When researchers find a new protein, they compare its amino-acid sequence to a database of other proteins whose structures are already known. From the best matches, they predict how the new protein would also look like in 3D. In other cases where there are no significantly similar proteins, researchers have determined the 3D structures using experimental techniques like cryo-electron microscopy, nuclear magnetic resonance or X-ray crystallography. However, these methods require a lot of trial and error, can take years, and cost tens of thousands of dollars per structure. This is why biologists are turning to AI methods for difficult proteins. The company’s AI software – AlphaFold – won against a total of 98 competitors, vastly out-competing the team winning the second place. 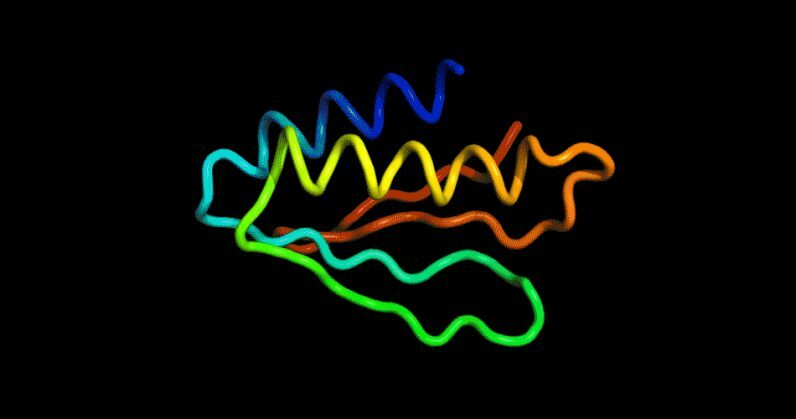 While the team in the second place could predict only three of 43 proteins, AlphaFold correctly predicted the structure of 25 of those. AlphaFold was built by training a neural network with thousands of proteins whose structures were known, until the software could predict the 3D structures of proteins from their amino acid sequence alone. Once AlphaFold is provided a new protein, it uses its neural network to predict the distances between pairs of its constituent amino acids, and the angles between their connecting chemical bonds, forming a draft structure. Then, AlphaFold tweaks this structure to find the most energy-efficient structure. While it took a fortnight for AlphaFold to predict its first protein structures, the program can now do so in a couple of hours. We’ve not solved the protein folding problem, this is just a first step. It’s a hugely challenging problem, but we have a good system and we have a ton of ideas we haven’t implemented yet. While AlphaFold’s achievement is truly commendable, the ingenuity of the method can be appreciated only when it is detailed in a research paper, and subjected to peer review. Having said that, AlphaFold’s comprehensive success in the event is a telling sign that we may soon be able to efficiently predict the structure of proteins. With its vision shifting from games to real world problems, it will also be interesting to see what scientific problems DeepMind will set its sights on next.